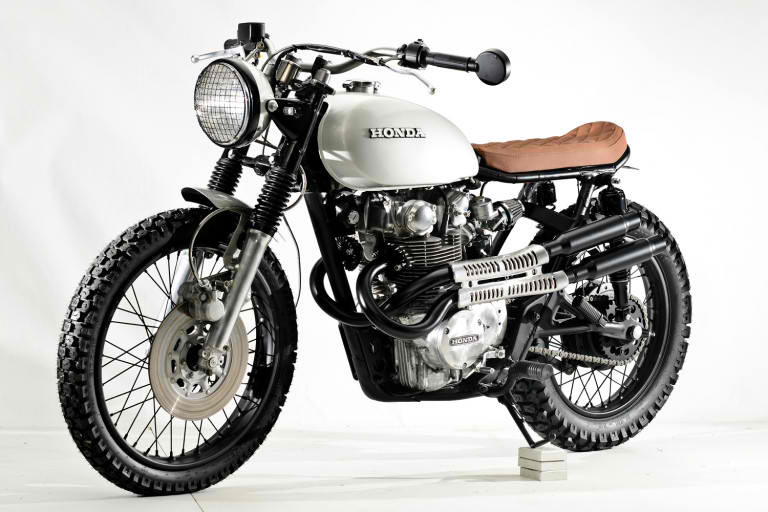 Honda CB450 by Steel Bent Customs Maybe a cafe racer isn’t quite your cup of Honda CB450 tea? 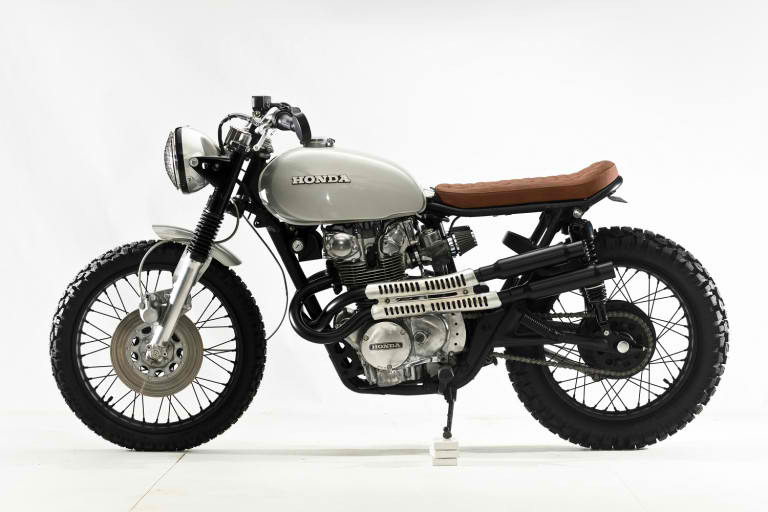 Then maybe this scrambler ready for the single tracks is more appealing. It’s a 1976 model from Florida’s Steel Bent Customs, dubbed Dirty Jersey, and the recipient of Michael Mundy’s expert handiwork. The frame was sliced and looped to trim the stock excess, and longer-travel, progressive rate rear shocks were added to balance the stance and raise the ride height. A svelte gel battery is hidden under the well-padded, diamond-stitched seat. The finish is classic, austere and damn near spotless. My favorite touch is the cocktail shaker treatment on the unequal length, high-mount exhaust.